Have you ever slept on a vineyard? I’m not talking about nodding off mid conversation on a couch in a tasting room on the last stop of a Saturday wine tour (you know who you are). I’m talking about in a plush king-sized bed, after indulging in a face mask, in a quaint cottage, surrounded by wines and vines. I have. And I’m about to tell you how you can plan to do so this fall. 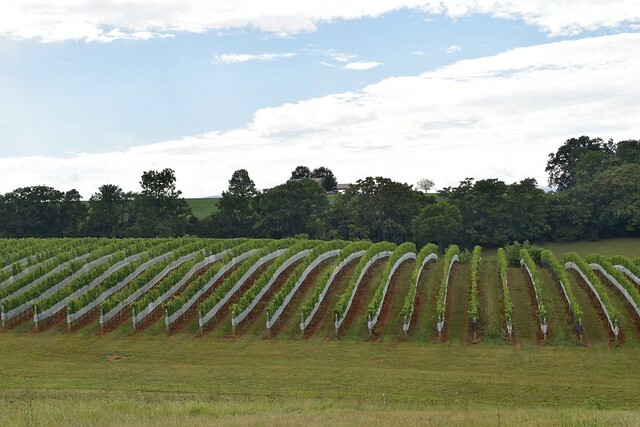 It happened to be the weekend that was calling for emergency flash flood warnings in D.C., so we frankly didn’t know what to expect on our sojourn south to Early Mountain Vineyard. My sister and I popped on “S-Town,” a podcast we’d been dying to listen to, and buckled up for an easy two hour drive south towards Charlottesville for an overnight adventure. Four episodes later, we pulled up to an idyllic property with rolling vineyards set to the backdrop of the Blue Ridge foothills. I’ve stepped foot inside almost every tasting room in Virginia—some I can recall better than others—but rarely has my breath been taken away. 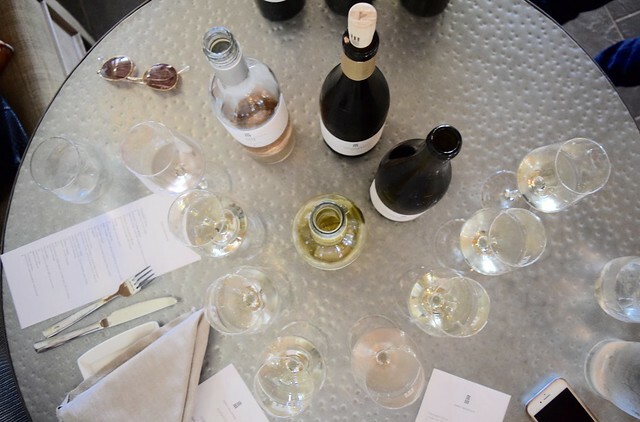 The high ceilings, white washed brick walls, medieval looking chandeliers and light filled space is everything you’d wish for in your wine tasting experience. There are plush couches in intimate corners, a centrally located fireplace, communal wooden tables, and floor to ceiling windows that open to a slate patio with sweeping vineyard views. It simply doesn’t get much better. Going into it, I knew I loved Early Mountain’s rosé. It’s sold at several liquor stores and restaurants in D.C., but I was excited to try more of their varietals and frankly, we were ready to move on from rosé season (anyone? just us?). We loved that you could do a tasting at your table, it was so much more relaxing! 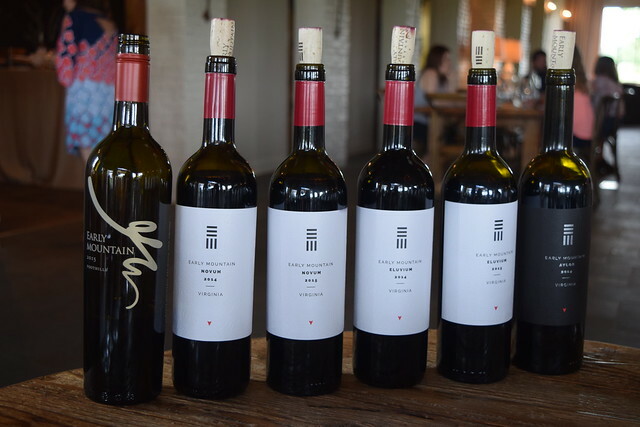 We sampled nearly every red and white blend and we concluded that Early Mountain is producing some of the best wine in Virginia. It was clear that their motto “producing elegant wines that are both accessible and exceptional” rang true. In the wake of their recent re-branding, no detail was overlooked. The new bottle labels have a texture that almost resembles a fingerprint, but, as we learned, actually depict the topography of the county and the red arrow denotes Early Mountain’s location in the region. The food was by far the best I’ve had a Virginia winery. And it’s no wonder, as Chef Ryan Collins hails from José Andres’ ThinkFood Group. The dishes were simple in nature, but inventive in presentation. 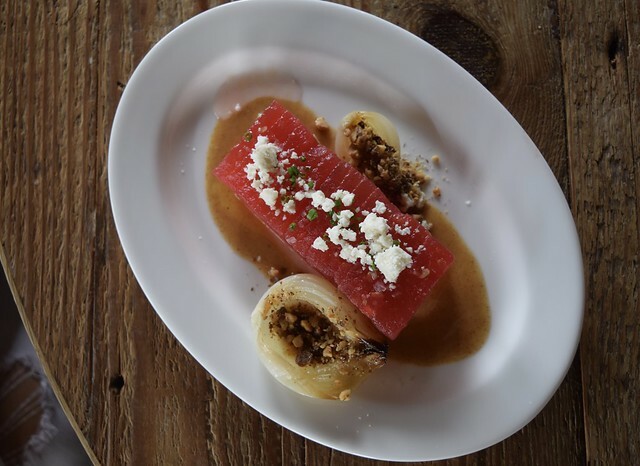 The watermelon salad far exceeded expectations, served like a slab of meat, sliced in thin squares and flanked by roasted baby onions that were topped with goat cheese, walnut praline, and sherry dressing. It was a sensory delight. 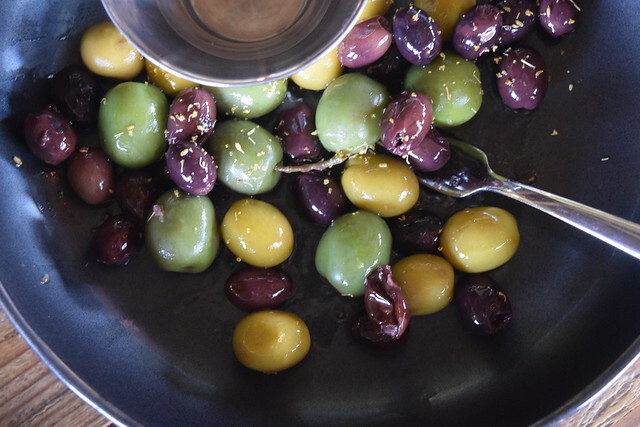 Olives are polarizing, but I’m a huge fan. Needless to say, I’ve ordered my fair share of marinated olives, but these were something else. I immediately grabbed my camera the minute they arrived to capture the gorgeous colors and presentation. I can’t recall if my sister ever tried one, but they were gone by the time we left. 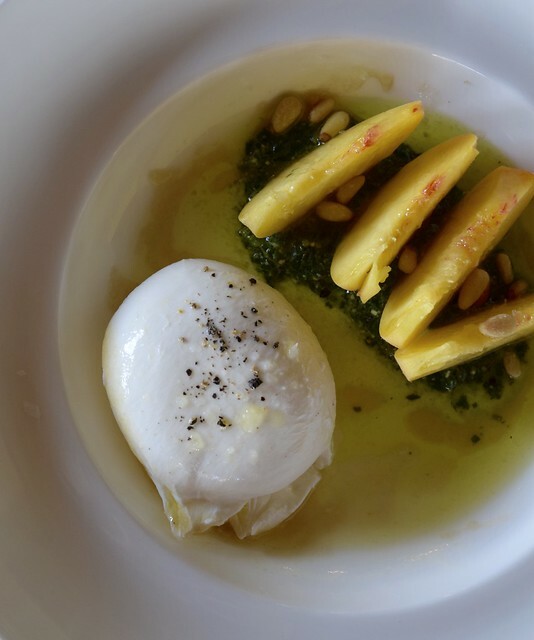 Next we tried the burrata with peaches and pesto because those are a few of our favorite things. Every element of the dish was fresh. The combo was simple, but bursting with flavor. It was summer in a dish, we just wished there was a side of bread to help transport the goodness. 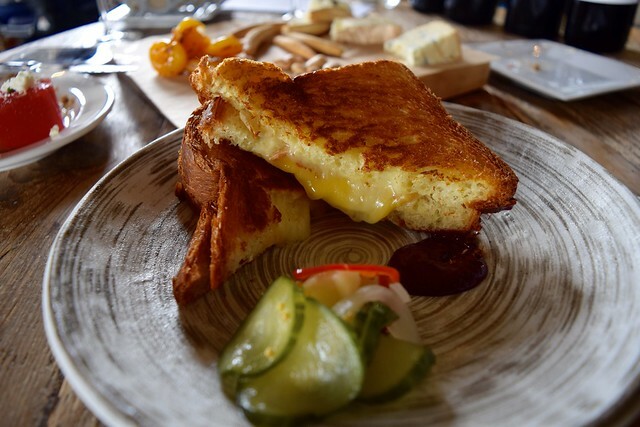 As we prefer to end our meals with cheese rather than dessert, we went for the grilled cheese and cheese board. The grilled cheese was divine, made with Grayson, cheddar, and brie, and toasted to perfection. I particularly loved the small helping of briny pickles on the side. For those that prefer a heartier entree with their wine, Early Mountain offers other enticing items such as a pappardelle dish and a roast pork sandwich. After a fun tour of the property on the back of a John Deere, we decided to head to our cottage to relax with, you guessed it, more wine. As if the property could be any more appealing, we walked into a perfectly quaint cottage, which you can rent on Airbnb, nestled between the vineyards and sprawling farmland. The charming abode includes a porch, several cozy sitting rooms, and two beautiful bathrooms bigger than the one in our apartment. 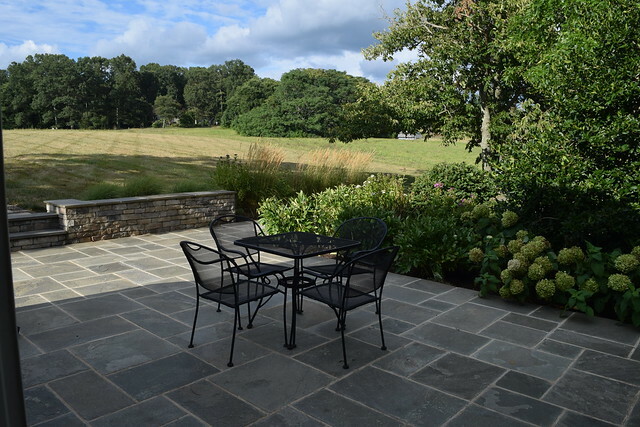 The back of the cottage is home to a lovely slate patio where we decided we would have breakfast the following morning. 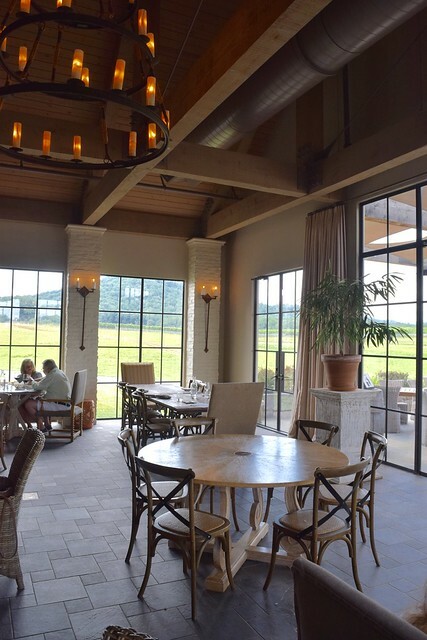 We were still full from our lunch at the tasting room, but had made reservations at the Inn at Willow Grove, one of the only nearby dining options, as we didn’t want to drive 30 minutes to Charlottesville. 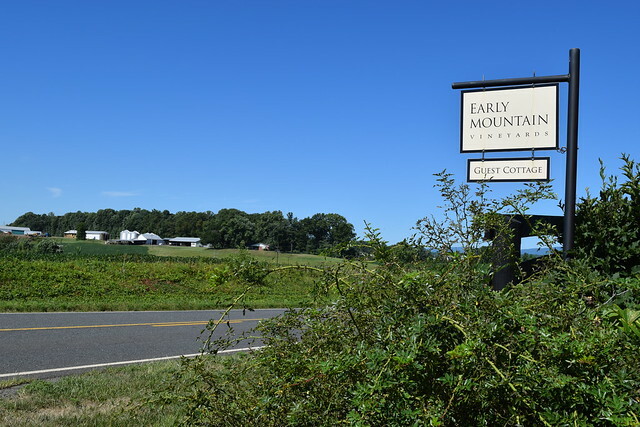 There aren’t a ton of dining options in the immediate vicinity, but we’d recommend treating yourself to lunch at the Early Mountain tasting room, purchasing a few bottles of wine, and picking up some snacks from Jack’s Shop Kitchen to nosh on later that night. The next morning we relaxed with a coffee in one hand and a Kindle in the other to the soundtrack of silence and the occasional chirping bird. Before packing up and heading back to the hustle of the city, we agreed we would be back because the only way to make this experience more glorious would be to return in the fall. If you’re looking for a good reason to head south this fall, don’t miss the upcoming annual oyster festival at Early Mountain in October. Purchase tickets here!